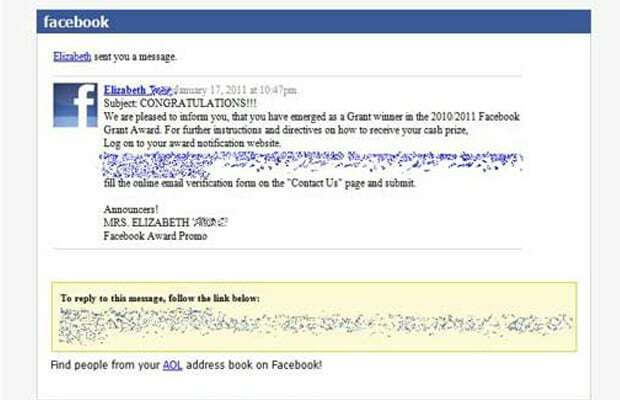 Beware of any FB messages in your inbox that state you won a cash prize as part of the Facebook Grant Award. The electronic message instructs users to collect their prize by clicking on the provided link, which directs them to a fake website that tricks them into sending money and providing personal information to hackers. Reference the image above. Use your smarts. If Mark Zuckerberg and crew announced a Grant Award, wouldn't you have heard about it on a credible news site? Exactly.